A proposed resort development in Logan has received push-back from local government due to fears of urban sprawl. 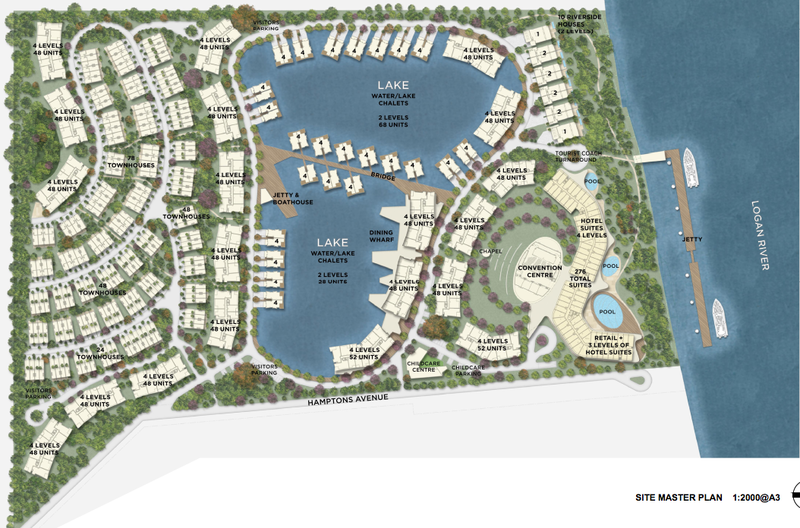 Chinese company Australian SN International Development Group lodged a preliminary proposal for a 500 dwelling resort, called ‘the Lakes’, on Reidel Rd on the Logan River in Carbrook, which was approved in 2013. The approval came after the LNP Newman State Government changed the criteria under the South East Queensland Regional Plan which had the site designated “green space” which could not be built on or subdivided, The Courier Mail reported. However, the proposal now includes around 1,500 dwellings within the development that comprises of hotel rooms, townhouses, Restaurant and bars, retail options and facilities for meetings, functions, sporting and fitness and childcare. Australian SN International Development Group’s proposal expresses an intention for the area to form the basis of a unique precinct capturing qualities of a Hastings St/ Kings St Wharf atmosphere for occupants and visitors alike. “It is envisaged that this precinct will become a drawcard for visitation from far a-field on all occasions for a variety of dining and retail options,” according to the proposal. The push-back came from Division 10 Councillor Darren Power, whose jurisdiction includes Carbrook. 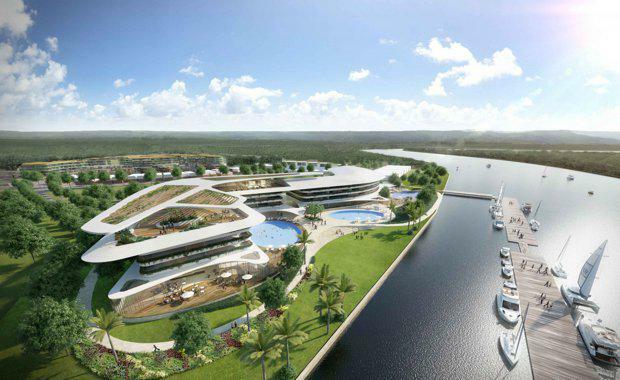 The Courier Mail reported that he thought the increase from 500 to 1500 dwellings took it outside the realms of a resort, expressing concerns that the development would more resemble a ‘mini city’. “It’s a high-density residential complex in a conservation area,” he said. “It totally goes over the top — it’s urban sprawl. “That’s why we have state plans so high density areas go where there’s transport hubs and where the services are. This makes no planning sense,” he said, according to The Courier Mail. A spokesperson for the development company was apparently unavailable to make a comment.